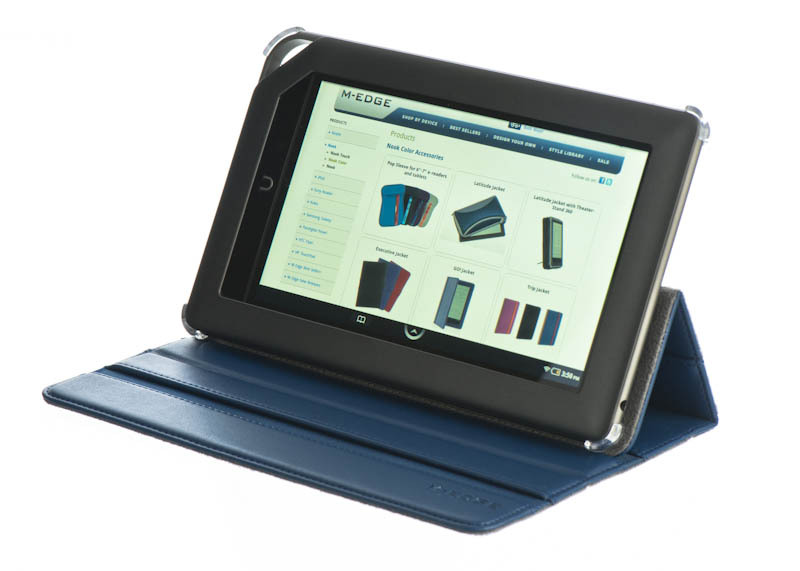 Get a high-tech case to match your high-tech new device. The Incline Case has a versatile design, adapting to your life on the go! 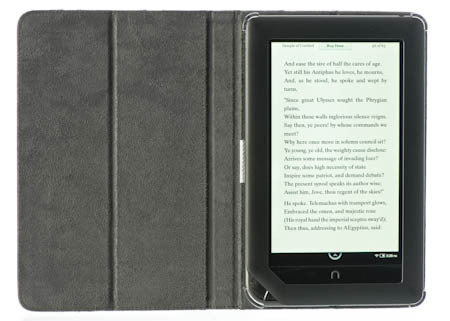 This cover is perfect for the Nook Tablet. It's secure and so versatile. 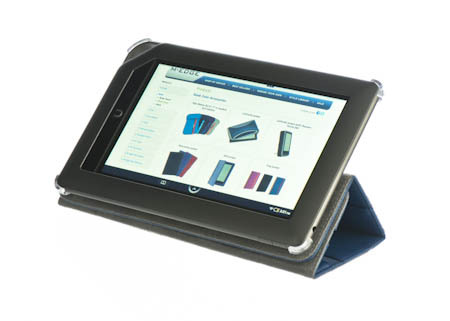 We bought one for each of us and since they only come in navy had to buy color bands from Nook to identify one from the other. We like the wedge position best of all but they all work nicely. Light weight. Simple. This cover is almost perfect. I have only two small complaints. The mounts cover the microSD slot which means I have to disassemble the thing to change cards is one complaint. The other? A simple elastic band that would hold the cover closed. Other than these two small problems, I'm very happy and would buy the cover again! I have another m edge cover for an older nook and it has held up well. Just bought this one and love it. Bought it at Best Buy for 22 bucks!!!!!! 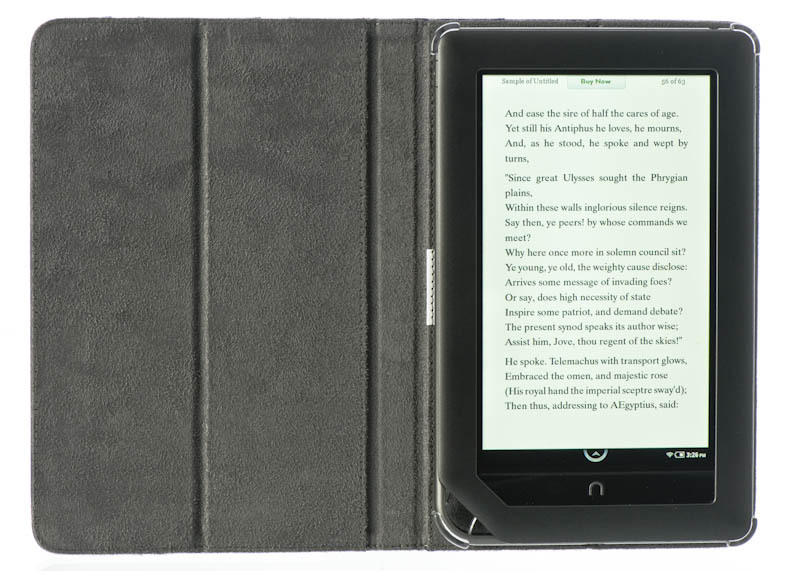 Better than any cover made by the "Nook" brand. Just got the Nook Tablet for Christmas & couldn't find any at B&N (online or in store that is comparable). Love everything about it but the color. This is the only reason I gave 4 stars instead of 5. Hopefully more colors will be available soon, but then I just wasted money on this one because I will want buy another as soon as more colors are out (hopefully pink). 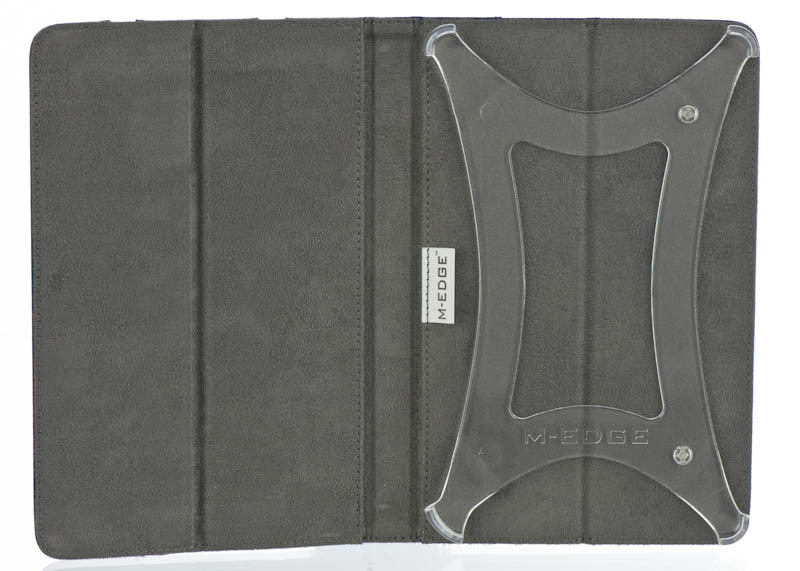 Sorry, it is just such a boring color….too bad that there are no other color options as with the other M-edge brand covers for the Nook Color or Tablet. Light weight yet protection! And live the way you can prop to read! I was very happy with this case, which I bought back in December. 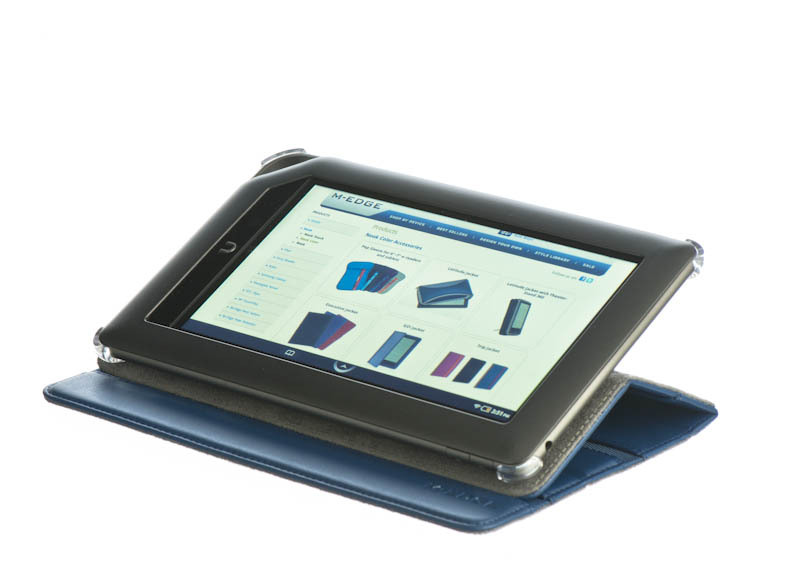 Love the landscape options, as this is almost always how I use my nook tablet. But the other day it fell off the bed, onto a carpeted surface, and two of the four plastic corners broke off. 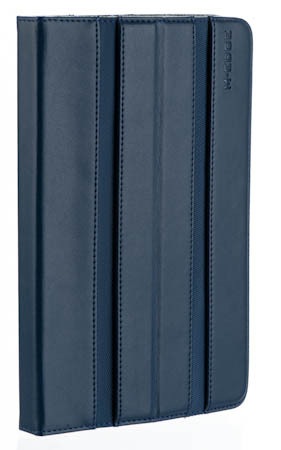 Now I am shopping for a new case and not so sure I want to spend $45 on a case that breaks so easily. The Incline Jacket is great. I use it all the time to watch Netflix and surf the web. Only BIG issue is that when trying to play any of the games (i.e., Angry Birds) you cannot use it as the game will be upside down. This doesn't happen to all but my son LOVES the Angry Birds games and he would like to use it in the case standing up. I got this case in December and worked up until now when i dropped it of my bed and and the top 2 corners cracked off, but my nook was OK so i guess it did its job. 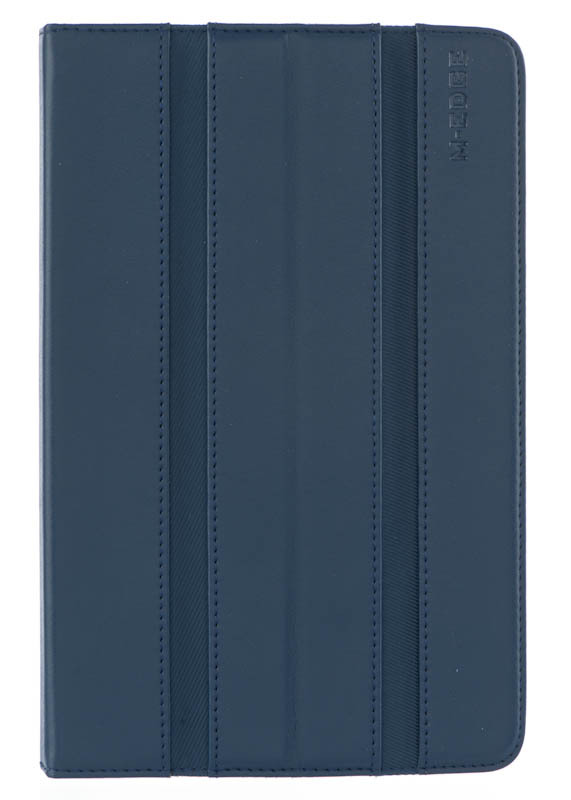 Nice case, I love the design. Wish it had a velcro closure tab to keep it closed. Is a little heavier than other cases.